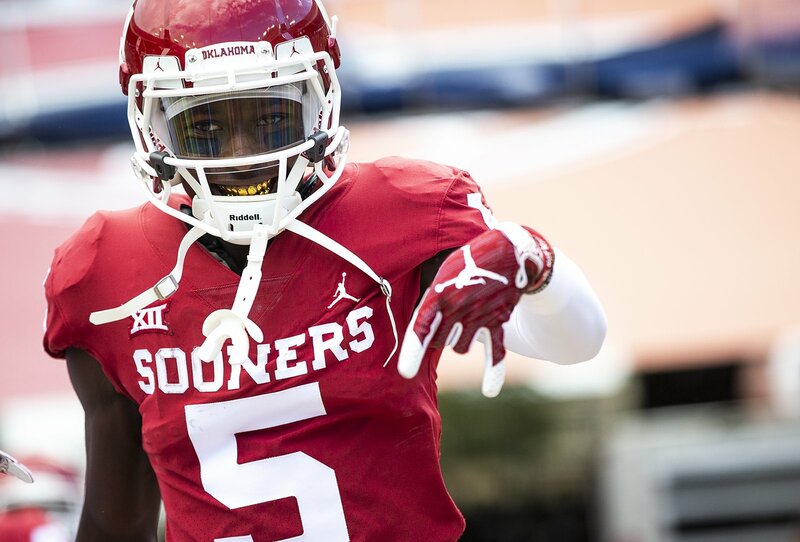 By now most people have heard that Big 12 officials will penalize any Oklahoma Sooner player who flashes the "horns down" hand sign during the 2018 Big 12 Championship in Arlington, Texas. Unfortunately, many will assume that this ban of the "horns down" is a promotion of good sportsmanship, and they will never consider the implications of banning a gesture that has significant intellectual and religious meaning. As you'll read in this short essay, if there is a symbol that should be "banned" during the Big 12 Championship, it is the "horns up" symbol, otherwise known as "Hook'em Horns." 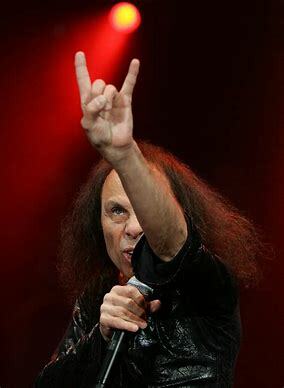 The traditional Texas Longhorn hand sign of the pinkie and index finger pointing up, called "the sign of the upright horns, is also known as "devil horns," "metal horns," or "rock horns." The "Hook'em Horns" symbol has a long history in eastern religions as well as western "rock and roll" music. When someone flashes "horns up," it symbolizes cuckoldry. The common words for cuckoldry in Italian, Greek and Spanish are cornuto, κερατάς (keratas) and cornudo respectively. All three words literally mean "horned." Do you know what a cuckold is? A cuckold is the husband of an adulterous wife. The term is applied to males who are unwittingly investing parental effort in offspring that are not genetically their own. The word cuckold is derived from the cuckoo bird and alludes to the cuckoo's habit of laying its eggs in another's nest. In time, the rightful owner of the nest will recognize that the cuckoo birds he's raising are not his own. They don't belong. The sign of "the upright horns," is "the cuckhold (horn) symbol" and conveys that one is taking for himself what is not rightfully his to possess. So when someone flashes the "horns down" gesture, it means just the reverse. The "upside down horns" is a symbol that refers to "the reversing the curse" or to "the warding off of cuckoldry." It is the modern equivalent of "knocking on wood" to prevent malevolency in one's life. In Italy and other parts of the Mediterranean, the "horns down" gesture is the most powerful symbol designed to keep at bay evil spirits. There are other gestures in those cultures that supposedly keep someone from bad luck, like "touching iron" (tocca ferro), touching one's nose, or grabbing one's testicles. But the "horns down" symbol remains, to this day, the most powerful and least offensive gesture for warding off the spirit of cuckoldry in many countries. Big 12 officials, I suggest you do a little homework before you penalize a player from Oklahoma. The "horns down" symbol of the Oklahoma Sooners is definitively more appropriate than the "horns up" symbol of the Texas Longhorns. 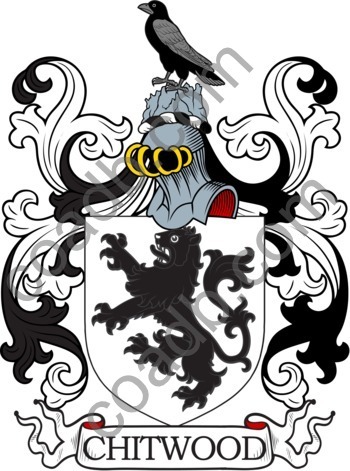 When a player flashes and waves "horns up," he is calling the other players cuckolds; stupid, naive players who have no clue that there's illegitimacy in their house, and they (the "horns up" signalers) are the ones responsible for the illegitimacy. But when a player lashes "horns down," that person is "warding off" the spirit of cuckoldry, making it known that only those who truly belong will be allowed in the house. The "horns up" symbol should be banned. 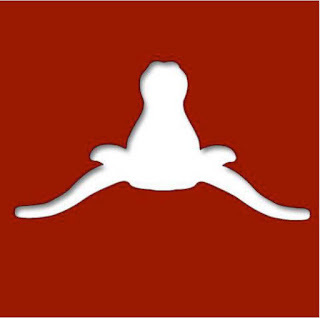 The "horns down" symbol should be approved. "Horns down" is how Oklahoma players will ward off the illegitimate cuckoldry spirit of the Texas Longhorns who are trying to lay their eggs in the wrong house. 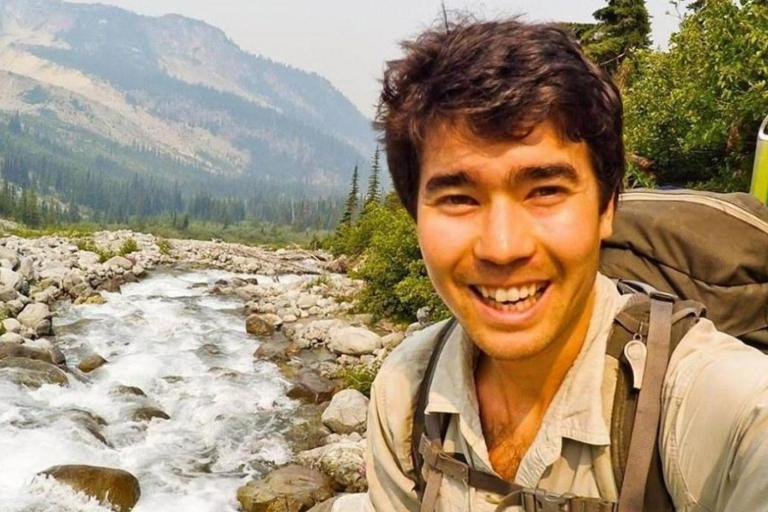 John Allen Chau, a 26-year-old graduate of Oral Roberts University and an American missionary in the Pacific, was killed November 21, 2018, by indigenous people on North Sentinel Island in the Bay of Bengal. For centuries, the Sentinelese people have resisted all contact with the outside world, sometimes violently. As a result, the Sentinelese people have never heard the gospel of Jesus Christ. National Public Radio reports that Chau's death has launched a national debate over the appropriateness of evangelizing cultures which are either ignorant of or hostile to Christianity, especially when the evangelist faces potential death for sharing Christ. The debate is not new. 200 years ago another missionary, a Choctaw Indian named Oakchiah, faced imminent death for boldly sharing Christ with a culture hostile to Christianity. The culture was the Choctaw tribe. The threat of death came from Oakchiah's own father. On the south bank of the Arkansas River, just north of the old fort from which Fort Smith, Arkansas draws its name, lies a grave that contains the body of Oakchiah. His courage to share Christ in a hostile area where his message was not welcome is similar to Chau's story. Born in Mississippi in April 1810, Oakchiah grew up in a full-blood Choctaw family steeped in traditional ways. He and other Choctaws lived in what is called "The Old Choctaw Nation," an area that encompasses most of modern Mississippi. Previous to the Choctaws forcible removal by the U.S. government during the 1830s to Indian Territory (Oklahoma), an awakening of Christian faith came to the Choctaws in Mississippi. Many tribal natives came to faith in Jesus Christ, and those new Indian converts became evangelists for Christ among their southern Indian tribes. Oakchiah was one of those Christian converts. According to those acquainted with Oakchiah after his conversion, the young Choctaw Indian became an active, energetic, and zealous evangelist for Christ. He desired that those among his people who still walked in darkness come to know the Savior. Oakchiah took the Christian name William Winans at his baptism, but he also retained his Indian name Oakchiah until his death to move among the Indians as a Chrisitan evangelist. Whenever an opportunity was given to Oakchiah, he would speak boldly of Christ to his fellow Indians, warning in his native tongue that all should repent of their sins and turn to the Lord Jesus Christ. But Oakchia's message troubled and offended many others who were wed to the old ways. Bitter persecutions arose against Oakchiah from within his own family. Oakchiah's earthly father told him that if he ever again spoke to the people about Christ, he would kill him. Duly warned, Oakchiah had a decision to make before the next council meeting. Would he heed the advice of his father and be silent about Christ? Or would he risk his own life and again appeal to the Choctaws to turn to Christ for salvation? Oakchiah chose to continue to preach the gospel of Christ. He knew his decision could cost him his life. Having faithfully preached Christ to his people for the last time, as he supposed, he returned to meet his infuriated parent, at the threshold of the cabin. There the father stood with form erect, broad and athletic, in the vigor of manhood; his tawny visage was rendered almost black by the malice which rankled in his breast; the deadly rifle was in his hand, and he was fully prepared to consummate his fiend like purpose. "Father, will you shoot me? What have I done that I must die so soon? Father, I die a Christian, and shall go to the land of the pure and good to live with the blessed Savior!" Although the rifle had been leveled to take deadly aim the old man paused, his muscles relaxed, the weapon fell to the ground, and a torrent of tears gushed from his eyes, and flowed down his cheeks. He was a warrior who could boldly meet the deadly foe on the battle-field; his spirit never cowered in presence of danger or of death; he scorned the rage and power of man; but the meek spirit of a follower of Christ completely unmanned him. In such forbearance and love he saw arguments irresistible in favor of the Christian religion. Oakchiah would later move to Indian Territory (Oklahoma) and continue faithfully preaching Christ among the Choctaw and Chickasaw people. Not many Oklahomans know of this preacher of the gospel buried right across Oklahoma's border on the southern bank of the Arkansas River, but the testimony of faithful preachers like Oakchiah and Chau are an encouragement to all of us called to proclaim Christ to the nations. It's too early to know, but I wouldn't be surprised if God uses Chau like he used Oakchia to soften the hearts of many toward Christ. They though are dead, yet they speak. From all accounts of those who are friends with the new President of the International Mission Board of the Southern Baptist Convention, and from my brief interactions with Paul Chitwood while we served together as fellow trustees of the IMB during three contentious and controversial years (2005-2008), Paul Chitwood is a personable fellow. I wish him the best in his new role as President of the largest missions sending organization in the world. I also question Paul Chitwood's biblical intelligence and his adherence to Landmark Baptist identity (Please read this link very carefully). Paul Chitwood was the Chairman of the Personnel Committee of the International Mission Board when trustee leadership unwisely and unsuccessfully sought to remove me from serving as a fellow trustee at the IMB in 2006. I opposed internal IMB policies on baptism and private prayer language, policies which exceeded the 2000 Baptist Faith and Message and were surreptitiously passed in a veiled attempt to remove Jerry Rankin as President of the International Board. Ten years later, with little fanfare, the policies I initially opposed were officially reversed by the trustees of the International Mission Board. The labor and delivery times of the baby named wisdom are often painful and prolonged. But in the end, wisdom was delivered by the International Mission Board. The unbliblical, unconstitutional policies were reversed. J.D. 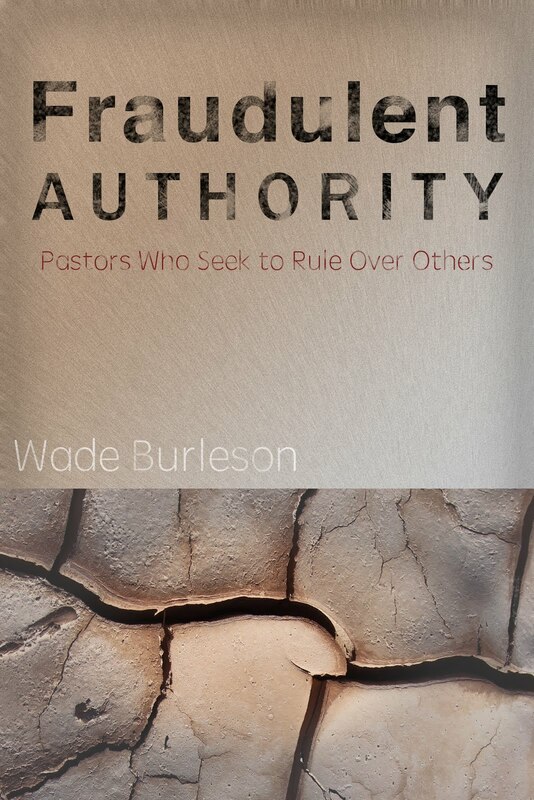 Greear, a pastor in North Carolina in 2008 and elected the President of the Southern Baptist Convention in 2018, put his name on a list of pastors who opposed the IMB's ill-advised policies way back in 2008. That was the beginning of wisdom. Paul Chitwood in 2008 was at the forefront of defending the unwise and unbiblical policies. That, in my book, was the perpetuation of foolish, unconscionable, and indefensible leadership. 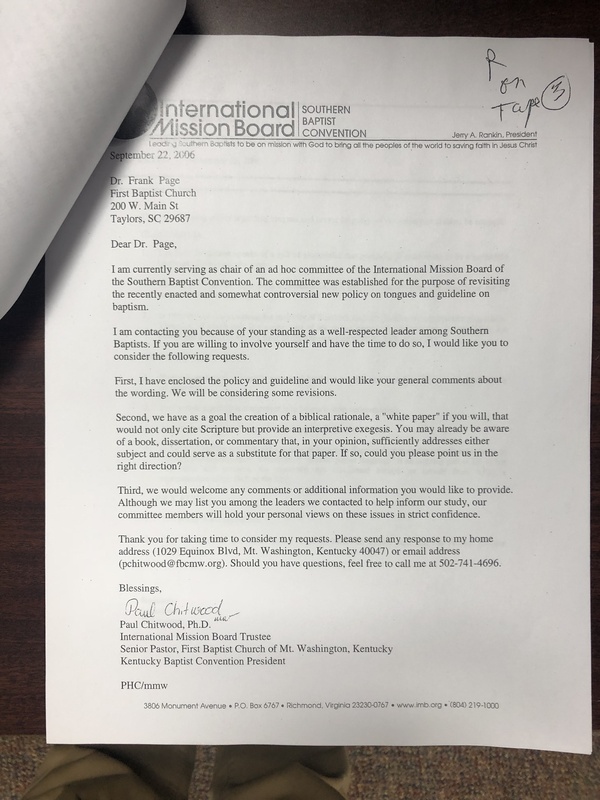 After Paul Chitwood and the Executive Committee of the International Mission Board sought to remove me as an IMB trustee in the spring of 2006, IMB Personnel Chairman Paul Chitwood wrote to Frank Page, asking for a "White Paper" to defend the new policies he had helped implement. Let me repeat what I just wrote. Paul Chitwood and the Executive Committee of the International Mission Board implemented doctrinal policies at the IMB in 2005 that exceeded the BFM 2000, violated the constitution of the Southern Baptist Convention in so doing, and only after my opposition to those two policies, then wrote a letter requesting a white paper defending the policy changes. Typically a white paper is presented before a recommendation of policy changes. Visionary, astute leaders think before acting on behalf of an organization. When organizational leaders act before thinking, that organization is in trouble. 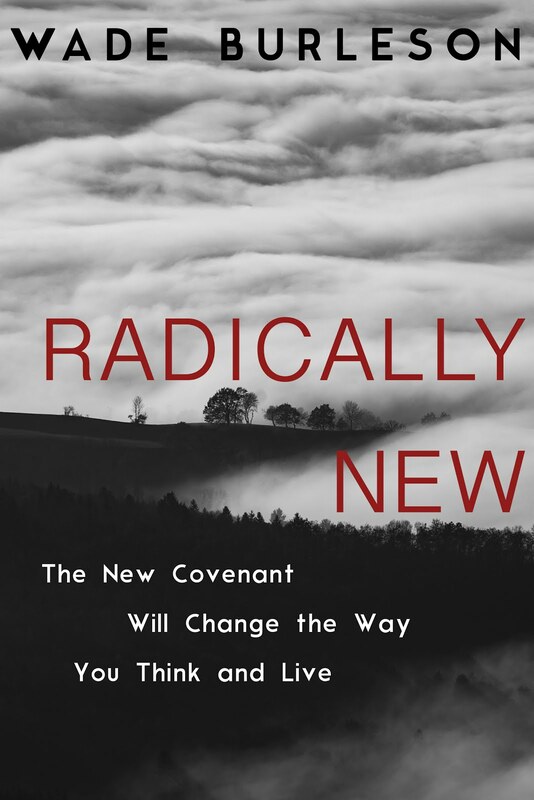 Could it be...and I'm only asking...that Paul Chitwood and others who lean toward the Baptist Identity Movement (e.g. "Landmarkism") were taking orders from the one orchestrating Jerry Rankin's removal and "without whom the policies would never have been enacted." I've been warning the Southern Baptist Convention for 15 years about the dangers of Baptist Identity (e.g. "Landmarkism"). Where Paul Chitwood leads the International Mission Board in the future will largely be dependent on whether or not Southern Baptists pay attention to what's happening in Richmond. One of the greatest mistakes we make in life is believing the lie that someone else is in control of my emotions. Because we wrongly associate the source of our internal pain with the failures of other people, we have a tendency to either control the people around us to be what we need them to be, or we 'shut down' and 'reject' the people in our lives who aren't meeting our expectations because it's too painful for us to even be around them. That kind of behavior is what psychologists call codependency. Codependency is being so dependent on another person for my source of happiness in life that I do everything I can to fix any problems I see in that person. I work, work, work, to fix the person I need. When failures occur and I feel pain, I point the finger of blame. "If you would only change, then I..." "If you wouldn't do this, then I..." Controlling and manipulating others to be what I need them to be is a very tiresome job. It often leads to the feelings of frustration and disgust that ends in complete rejection and abandonment of the person I used to believe I couldn't live without. 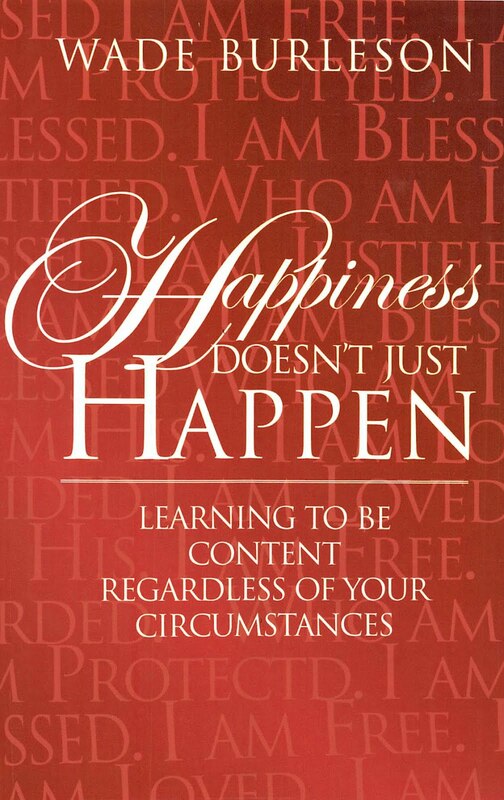 My problem is a lack of understanding that God never designed my emotions to be controlled by anyone but me. I hold the remote control. Healing only begins when I stop blaming other people for my internal pain. There was once a wealthy young man who was in line to inherit his father's business. However, his brothers, jealous that their father had chosen him for such an honor, sought to him. However, they eventually sold their younger brother as a slave to a caravan of traders on their way to Egypt. This young man named Joseph would eventually spend years in a dark, lonely prison as a result of his brothers' behaviors toward him. 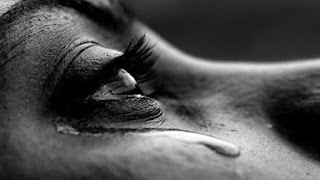 If any person had a right to stew in pain over the poor performance of family members, it was Joseph (see Genesis 37:18-36). But Joseph harbored no grudges. In fact, Joseph wound up reaching out to his brothers in their time of need (Genesis 45). How is that possible? How could a man who had been so wronged, so mistreated, so despised and abused, reach out and warmly meet the needs of the very people who had wronged him? Joseph discovered that the source of healing for any pain within his soul was independent of the performance of other people. Remember that caravan to whom his brothers sold him as a slave? "They saw a caravan of Ishmaelites coming from Gilead, with their camels bearing gum, balm, and myrrh, on their way to carry it down to Egypt" (Genesis 37:25). That's what rode beside Joseph all the way down into Egypt. 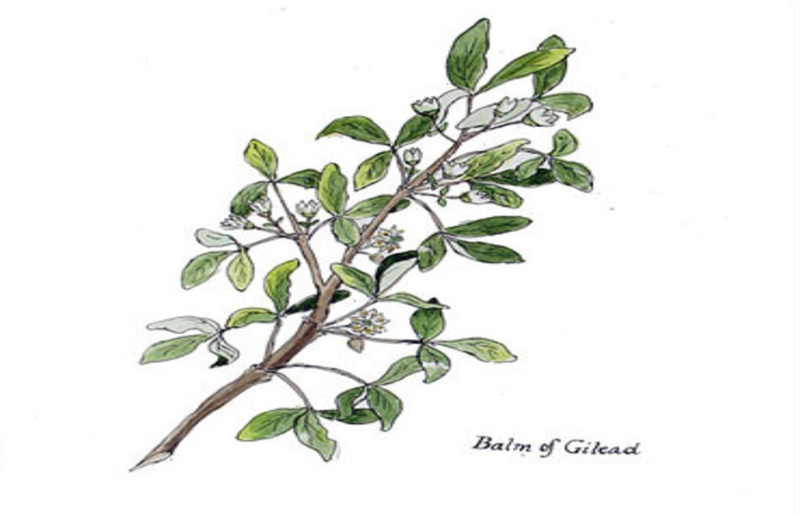 The region of Gilead was noted for balm which was an aromatic secretion of the balsam tree. The territory where this salve came from (an area north of the Dead Sea in the land of Israel) was originally given by God to Manasseh as an inheritance when the children of Israel entered the Promised Land. It was used by various countries as a fragrant, healing balm for people who'd been cut, wounded, or scarred. 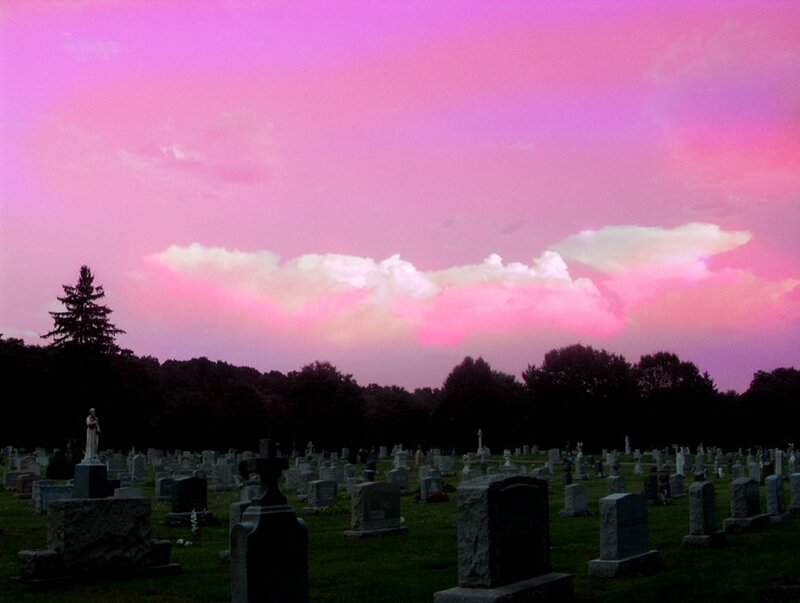 "Is there no balm in Gilead, Is there no physician there? Why then is there no recovery for the health of the daughter of my people?" (Jeremiah 8:22). 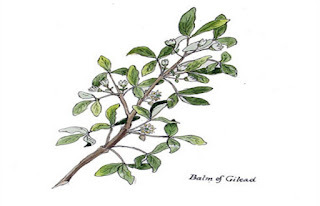 The Balm of Gilead is a metaphor for the presence of God in one's life. When we mistakenly believe our hurts are greater than His grace, and when we act on the lie that rejecting the person we believe to be the source of our pain is the way to be healed, then we have missed the truth that the Great Physician is the only Person capable of healing any internal pain. Resting in His love, His acceptance, His forgiveness, His provision, His promises, His warm embrace, His providence, His guidance, His sufficiency, and His plan for my life is the source of my strength. Jesus makes the wounded whole. And He's always right beside me in scary journeys that go beyond my control.